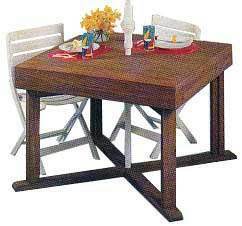 Use free patio table plans to build an attractive and useful table for your deck or patio. Customize the plans to fit any size, from a small occasional table to a large outdoor dining table that will quickly become the favorite eating space in your home. Round, rectangular, square and portable table plans are available and come with easy-to-follow instructions and videos. There are even patio table plans that include tile insets and concrete tops. 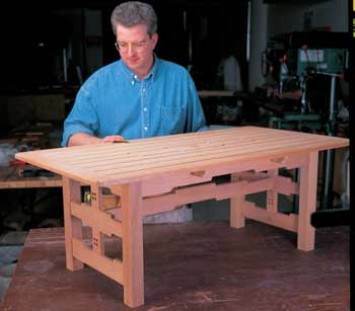 Tables are great projects for the beginning woodworker, as they use basic tools and skills. Choose cedar, teak or redwood for a stylish look, or select stock lumber or treated wood to build an inexpensive table that will last for years. A glass-topped table, built with stock lumber and painted or stained for a modern look, is a unique and unexpected look for your patio, deck or terrace. 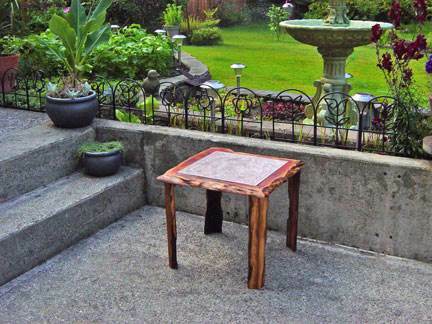 Build this beautiful garden table that requires template routing on a router table and will add interest and charm to any deck or patio. Here are instructions along with pictures to help you build a very inexpensive patio table for your outdoor dining. Free patio table plans for building this basic table. Plans come with instructions, diagrams and list of materials. 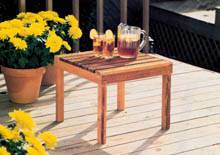 You can easily build these handy patio tables using pressure treated wood and this plan. 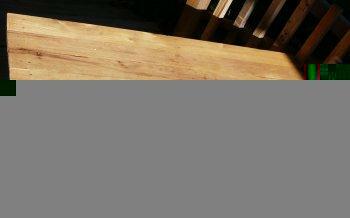 This patio table is strong and sturdy when up and can also be easily knocked down and stored away for the winter. Click each link above for the separate instructions for the coffee table and side table - cutting diagrams only. This little folding table is light weight and easy to take along camping or just out on the patio or deck. 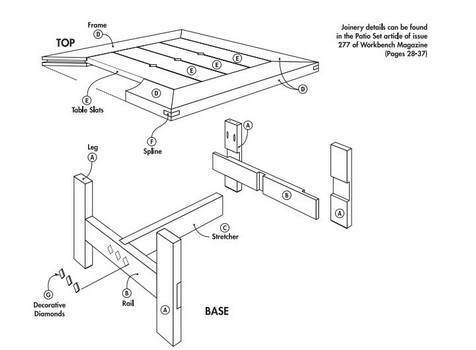 Follow these simple instructions for building this handy folding side table. 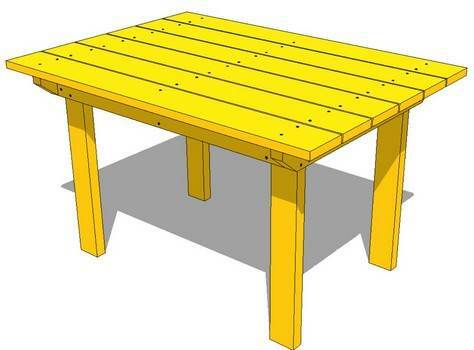 Plans for an outdoor table that is rugged looking and has an attractive tiled top. 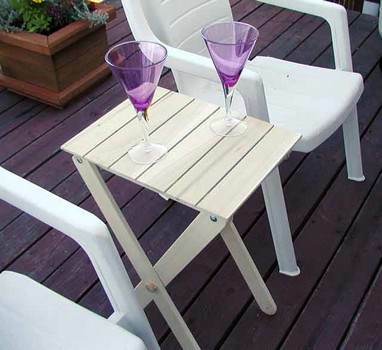 This table works great for setting drinks or snacks on while relaxing outdoors.